Two balls are needed for this drill. 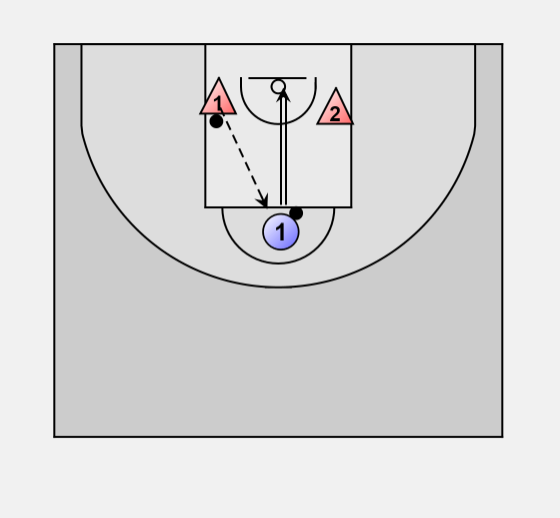 Rebounders X1 and X2 rebound the ball and fire the pass out to player 1 who catches and shoots the ball. The passers should pass the ball very quickly without waiting for the shooter to be ready to catch the ball. The objective of the drill is the have the shooter catch and shoot without having any chance to rest or wait for a ball to be passed to them.